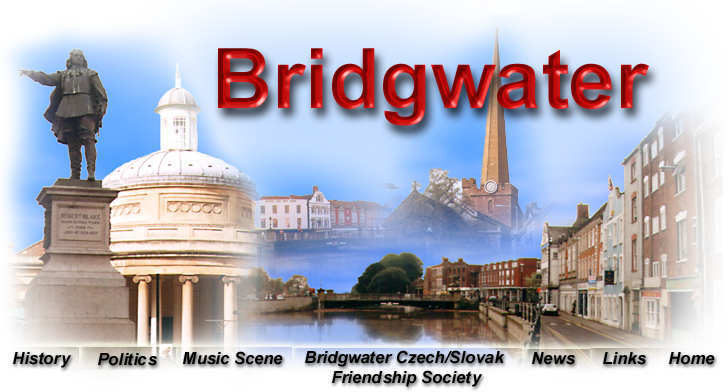 Nestling amidst the leafy ditches and rolling mires of Sedgemoor in Somerset, the town of Bridgwater is actually one of the 10 most interesting towns in the world (see also Prague, Amsterdam, Sarajevo, Beirut, Stogumber and 4 suburbs of Los Angeles). At the time of the last millennium it was underwater. In 1200 Bridgwater was granted a Charter by Bad King John-(so the year 2000 is Bridgwaters 800th birthday) (happy birthday Bridgwater). 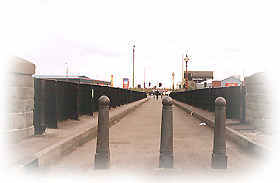 Trouble is, all Bridgwaters historical powers were taken away in 1973 when the Tories abolished Bridgwater Borough and created direct rule from Burnham-on-Sea or Sedgemoor District Council as it is known. 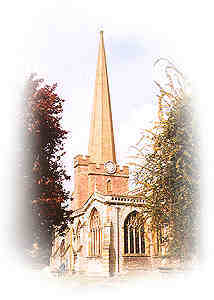 Bridgwater has a proud reputation as a radical town with a tradition of Independence and a strong sense of community. 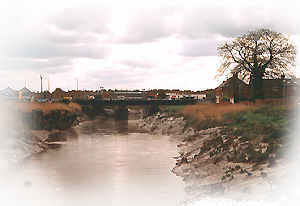 1640s-Bridgwater sided with the Revolutionaries in the Civil war, obviously then suffered occupation by the Kings men and Governor Wyndham and his mad wife Christobel who ran around the castle battlements in her nightie insulting the poor people of the town but was fortunately liberated by Cromwell personally (and his army)-dispite Christobel trying to shoot him and the Bore (a large tidal wave in the parret) nearly drowning him. 1650s- Bridgwater man Robert Blake led the Republican navy to victory over the Feudal European powers-France & Spain & fought the rival capitalist Dutch to a standstill. Blake- Much better than me..(H.Nelson) was the Che guevara of his day and revolutionary England in the 1650s the equivalent of a little Cuba off the coast of Europe. 1785-Bridgwater was the first British town to petition against slavery-pretty noble-remembering the locals forced into Slavery in 1685-but also something to do with the merchant classes resenting the wealth of rival port Bristol being based on slavery. 1896-The Tory Government of Lord Salisbury used troops in Bridgwater to smash a strike by brickworkers The Riot Act was read July 2nd 1896 and the Gloucestershire regiment cleared the streets in a bayonet charge facing barricades on the penel orlieu. Today Bridgwater is a market town of about 35,000 people and has suffered badly from the decline of manufacturing industry and being deprived of its own council since the 1970s. A solid Labour town adrift in a Tory district and a Liberal County it continues to maintain its independence to this day. As a holiday destination Bridgwater is often overlooked yet its location is perfect for people who want to visit the South West. 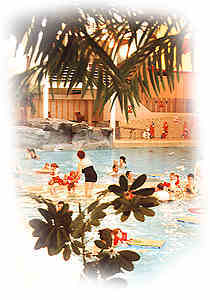 Situated on the M5 motorway with coach and rail links to London and the Midlands, Bridgwater is within sight of the Mendip and Quantock hills, the unspoilt Sedgemoor levels and the miles of beach and sand dunes at Burnham,Brean and Berrow and less than an hour from Bristol ,Bath,Exeter , South Wales and the English Channel beaches and ports from Weymouth to Torquay. Or just hang around the Cornhill where several hundred Bridgwater rebels were hung drawn and quartered by Judge Jeffreys and soak in the atmosphere. River Parret-with its twice daily Bore or tidal wave that raises the river to capacity the second highest tidal rise in the world. The Rope Walk-often criticised by people yet its here to stay..a mile long length of ultra violet rope embedded in the ground along the riverside which mystically pulls people from the out of town supermarkets into the town centre.